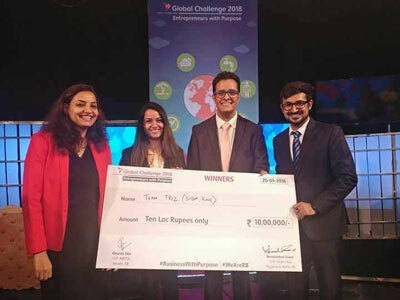 Team Triz comprising of Ayshu Varsha, Vipul Mehta and Abhinav Bhargava second-year students from Symbiosis Institute of Business Management, Pune have emerged as the Global Runners-up of the Reckitt Benckiser Group plc (RB) Global Challenge 2018. The team spanned a journey of winning, right from the Campus Round followed by the Regional Round and the National Finale. The award comprises of a cash prize of INR 5 Lac. RB Mavericks Challenge is an opportunity to present social impact ideas on an international platform, bring them to life, and contribute to making a real difference within the country. Symbiosis International (Deemed University) has established the Institution Innovation Council (IIC) as per the Norms of Innovation Cell, Ministry of HRD, Govt. of India. The IIC shall help promote innovation through multitudinous modes leading to an innovation promotion eco-system in the campus. 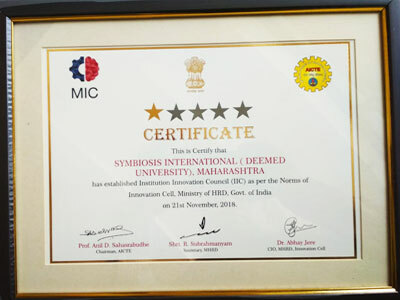 Symbiosis International (Deemed University) Ranked No. 1 in the country in the SWACHH CAMPUS RANKINGS 2018. 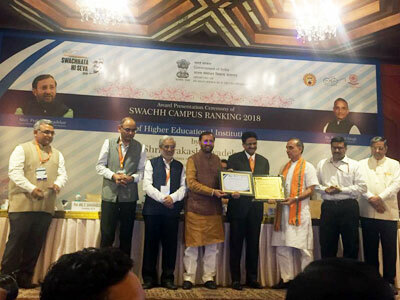 The Union Minister for Human Resource Development, Shri Prakash Javadekar conferred Swachhata Ranking Awards 2018 for higher educational institutions on 2nd October 2018. 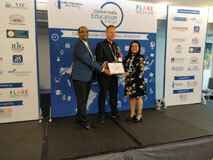 Dr Vidya Yeravdekar, Pro-Chancellor, Symbiosis International (Deemed University) has been awarded the 'Exemplary Leader in Internationalisation of Indian Education' award at the 30th Annual EAIE Conference, Europe's largest international higher education conference in Geneva, Switzerland. The Conference was held between 11th to 14th September 2018. Symbiosis International (Deemed University) has been awarded the 'Most promising University (West)' at the 30th Annual EAIE Conference, Europe's largest international higher education conference and Exhibition in Geneva, Switzerland which was held between 11th to 14th September 2018. 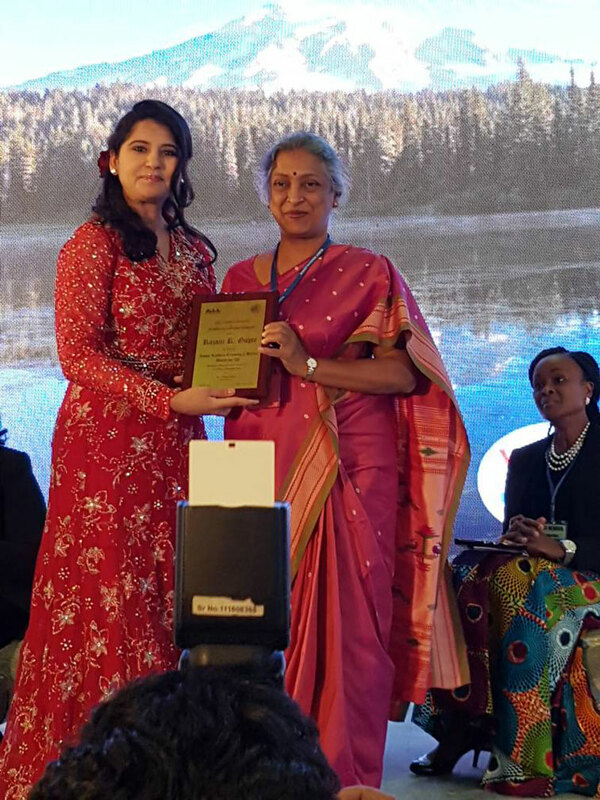 The award was received by Ms Nidhi Piplani Kapur, SCIE on behalf of the University. International Day of Yoga 2018. 'Swachhta Abhiyan' conducted by SCWRM in Zilla Parishad Secondary School, Nande, Pune. 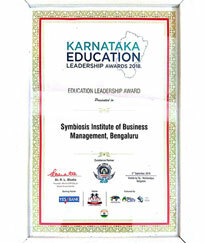 Symbiosis Institute of Business Management (SIBM), Bengaluru has been awarded the 'Education Leadership Award' at Karnataka Education Leadership 2018 on 5th September 2018 at Taj Vivanta, Bengaluru. The 'KARNATAKA EDUCATION LEADERSHIP AWARD' is an intensely researched award. Their research cell consists of Post Graduates in History & Management with over 7 years of research experience post their studies. The research cell produces a shortlist of Individuals who are doing extraordinary work and track the record of their achievements. Educational Achievement, Placements, Leadership, Best in Class Infrastructure, Student Impact (Internal to the Organisation) and Future Orientation. 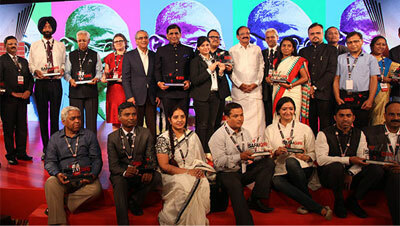 The shortlist is then reviewed by a Jury comprising of senior professionals from across the globe. 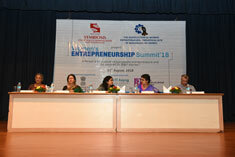 Symbiosis Centre for Entrepreneurship and Innovation (SCEI) in partnership with National Institution for Transforming India (NITI) organized the "WOMEN'S ENTREPRENEURSHIP SUMMIT" on 27th August 2018 from 10:00 to 13:00 at the Auditorium, Symbiosis Vimannagar campus. The program was Catalysed and supported by NSTEDB Division Department of Science and Technology New Delhi and Entrepreneurship NITI Aayog Women Entrepreneurs. The Summit brought together women entrepreneurs from varied backgrounds and realities to share their journey and experiences, trials and tribulations in an effort to provide an inspiring and facilitating ecosystem for aspiring and present women entrepreneurs to realise their full potential. 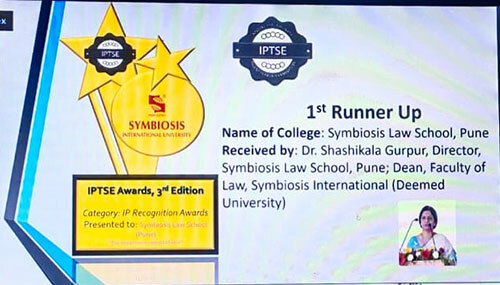 The Symbiosis Law School, Pune team consisting of Aravind Vishnubhotla Kenneth Martin and Director Dr. Shashikala Gupur have won the award for the Best Performance by a Newcomer Team and have been ranked 14th overall in the 19th International Maritime Law Arbitration Moot Court Competition, Organised by Murdoch University, held at Brisbane, Australia. Aravind Vishnubhotla has also received a citation for the Best Speaker from a Newcomer Team. Symbiosis Institute of Media Communication (SIMC) Pune has received a grant of 6600 Euros from Robert Bosch Foundation and University of Tubingen, Germany to host German journalists for capacity building and training in the first week of September 2018. DAAD handed over equipment worth EUR 22,914 to Symbiosis School of Biological Sciences(SSBS) for the Project on 'Production of limonene and trans-carveol in Lactobacillus acidophilus by metabolic engineering of plant genes'. This ceremony was held on 5th June 2018 in the esteemed presence of Dr Jurgen Morhard, Hon'ble Consul General of Germany, Ms Devi Arand Hon. Director, DAAD Pune, Dr. S.B. Mujumdar, Chancellor, SIU, Dr Vidya Yeravdekar, Pro-Chancellor, SIU, Dr. Rajani Gupte, Vice Chancellor, SIU and, Dr. Rajiv Yeravdekar, Dean, Faculty of Health and Biological Sciences. EURASIA Launch Event in Bulgaria: The launch event of the project EURASIA – Revitalizing European Studies Across Asian Universities – took place in Sofia (Bulgaria) on 21-24 May, 2018. The project coordinator, Sofia University St. Kliment Ohridski, hosted delegations from the eight partner universities: Jagiellonian University (Poland), University of Catania (Italy), O.P. Jindal Global University (India), Symbiosis International University (India), Guangdong University (China), Beijing Foreign Studies University (China), The Languages Company (UK) and the Universite de Versailles St-Quentin-en-Yvelines (France). 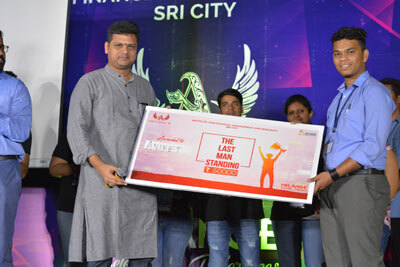 Symbiosis School of Banking and Finance (SSBF) student Mr. Aniket Balam (Batch 2016-18) has won "The Last Man Standing" competition with an award of Rs. 50,000/- after 50 hours of continuous gruesome battle against students from NMIMS, IIT - Madras, SIMS, Welingkar, IFMR and many other top B-school institutions. The competition was conducted by Institute of Financial Management and Research, Chennai on 9th, 10th and 11th of February 2018. Team "YODDHAS" from Symbiosis Center for Management and Human Resource Development, (SCMHRD) comprising of Dr.Shubhra Chakraborty, Prakhar Charurvedi, Prachi Priya and Nilotpal Mishra have won the national finals of 'Reliance The Ultimate Pitch 3.0' held at reliance corporate park, Navi Mumbai on 14th Feb 2018. The Theme of their business model was 'developing a community engagement business model' based on a locally sourced, easy to produce malnutrition paste called POSHAN . The team has won a cash prize of Indian Rupees Four Lakhs. Symbiosis Institute of Management Studies (SIMS) has received a project grant under the Indian Council of Social Science Research (ICSSR) Minor Research Project on "Developing of Vroom's Expectancy Model to Increase Academic Library Usage Using Grounded Theory Approach". Dr Namrata Shabrani from Symbiosis Centre for Stem Cell Research (SCSCR) Research Associate has received Woman Scientist's grant from DST under the mentorship of Dr Anuradha Vaidya. Hussain Harianawala, BSc Economics (Hons) student of Symbiosis School of Economics (SSE) is member of 'HYPERLOOP INDIA', the team which has won the HYPERLOOP ONE GLOBAL CHALLENGE. This challenge is a nerve-wrecking and fierce competition which demanded a detailed and descriptive feasibility case study on the feasibility of such a technology in the country revolving around a potential route for India. The team has successfully showcased and pitched the concept to Prime Minister Shri Narendra Modi, Advisor to the US President Ms Ivanka Trump and the Chief Minister of Telangana K. Chandrashekar Rao at the Global Entrepreneurship Summit 2017 held in Hyderabad. It is the only team from India, and among the only two teams from Asia that qualified to the final round of the elite SpaceX Pod Competition II which consisted of 24 teams from around the globe. The team has built India's first ever Hyperloop Pod Prototype, namely "THE ORCAPOD" aligning our pursuit and effort with the Make in India campaign. Prof Dr. S.B. 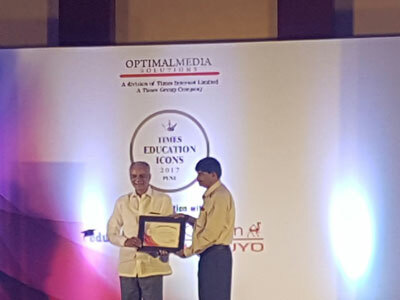 Mujumdar, Hon'ble Chancellor, Symbiosis International (Deemed University) has received the 'Times Life Time Achievement' award in the 'Education Visionary category' at the Times Education Icon function held at Hyatt Regency, Pune on 25th November 2017. Dr. Sharad Kale, Head, Symbiosis Centre for Waste Resource Management (SCWRM) has been awarded the Tech Icon award at the third edition of India Today Safaigiri Awards. Dr. Sharad Kale was awarded for the 'Nisargruna' Technology of biogas developed by Dr Kale for scientific processing organic waste. The improved technology over the conventional one is approved by Govt of India and is adopted by over 300 Govt, semi-Govt, private and public organizations all over India. 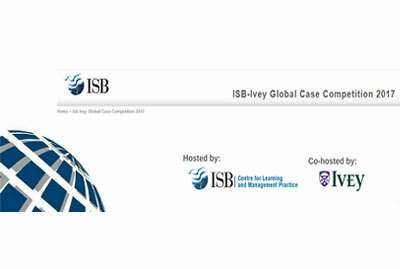 Prof. Semila Fernandes, Prof. Pooja Gupta and Prof. A Vidyasagar from Symbiosis Institute of Business Management (SIBM) Bengaluru won the Marketing Category of ISB-IVey Global Case Competition 2017. They will be receiving an award of $2000 sponsored by ISB along with publishing opportunity as an ISB-Ivey co-branded case study. This year’s competition received 100 well written case entries that documented interesting business challenges from renowned institutions from India, Malaysia, Netherlands and the United States. 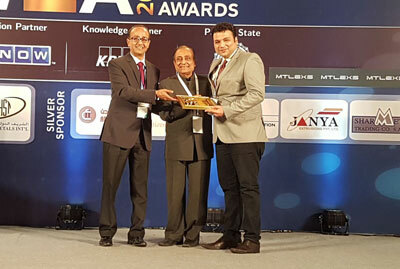 Symbiosis Centre for Management Studies (#SCMS) alumni, Abhimanyu Asija (2004-07 batch), has won the Emerging Company - Young Entrepreneur Award on 8th Sep at the World Non Ferrous Metal Award function. There were applicants from the entire metal industry from all over India, Middle East and some from Europe. They were competing with much bigger companies with turnovers 5 to 10 times higher and some listed companies as well. The main reason for winning this was their 4 X growth which they have achieved in the last 5 years which is rare for a metal company in the core sector to do so. Mr. Aaditya Kitroo, Symbiosis Centre for Management (SCMS), Pune Alumni (from Batch 2005-2008) has been chosen as a "Champion of Change" by the #NITI Aayog. 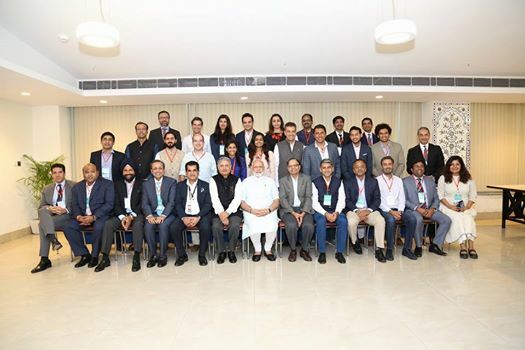 He was part of two day sessions that included dinners, brainstorming sessions and presentations with secretaries of cabinet ministries, cabinet ministers and the Hon'ble Prime Minister of India. Mr. Kitroo, the only individual from Jammu & Kashmir, presented various initiatives that the government could undertake to revive, sustain and improve the handloom sector across the country. Symbiosis Centre for Management Studies (SCMS), Pune, BBA student Bevin Attri, is crowned as the 2nd runner up of Mr. Teen India 2017 and awarded the Best physique (Body Perfect ) title . Symbiosis Centre for Management and Human Resource Development (SCMHRD) student Chintan Patel has won the first position for his business plan at 13th CII India Innovation Summit 2017 under the Disruptive Service category. He has been invited to attend CII India Innovation Summit,2017 which is going to be held in Bengaluru and pitch his solution in front of 5000+ business leaders from across 160+ countries. 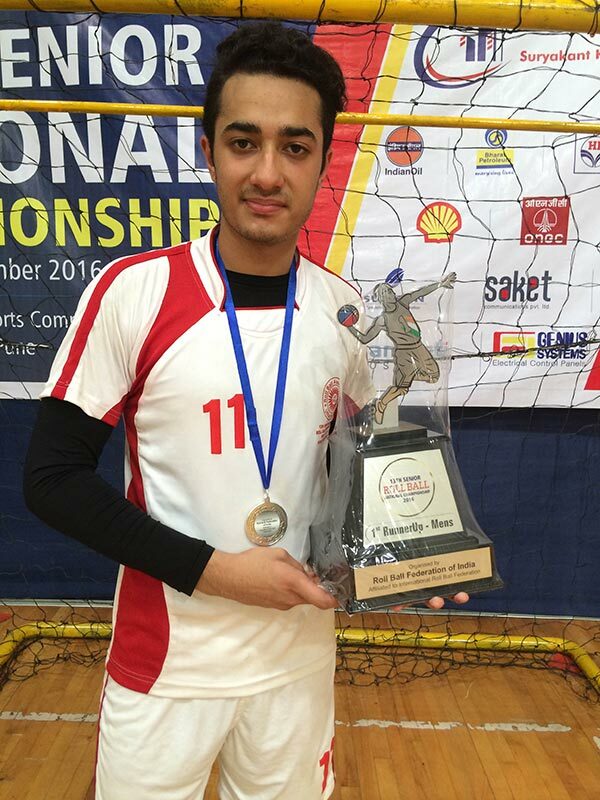 Symbiosis School of Sports Science student Niraj Rao, of MBA(SM) Batch 2016-18 has won the title of 'India's Asli champion'. 'India's Asli Champion' is a uniquely crafted show that aims to find the Fittest Indian. After an intensive search across the nation, 12 contestants (6 Boys & 6 Girls) were shortlisted, who came from different walks of life. The participants went through the ultimate test of physical and mental endurance to win the glorious title of India's Asli Champion. Dr Preetha Menon from SIBM Pune has won the PRESTIGIOUS EMERALD-FLAME BEST EMERGING MARKET CASE AWARD with a cash prize of Rs.15000. The FLAME Centre for Case Development (FCCD) invited academicians, researchers and professionals, within and outside India, from across disciplines such as management, entrepreneurship, humanities, social and natural sciences to submit their documented pedagogical innovations, industry experiences/practices and teaching/research cases for the International Conference on Cases and Pedagogical Innovations which was organized at the campus of FLAME University, Pune. 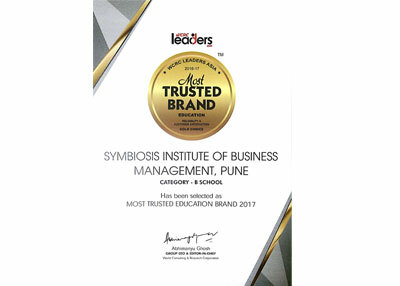 Symbiosis Institute of Business Management, Pune, has been selected for the 2017 'LEADERS ASIA, India's Most Trusted Education Brands 2017TM in the GOLD Category. #LEADERS ASIA, India's Most Trusted Education Brands 2017TM were bestowed upon selected brands for their excellence on 5th May, 2017, at Eros Hotel, New Delhi along with Brand of The Year and India's Most Trusted CEO's. India's Most Trusted Education Brands 2017 is a research based initiative featuring the Most Trusted Education Institutes in India for 2017, based on Admission Process, Infrastructure, Faculty, Accolades (Rewards Recognition) and Extra-Curricular Activities of an Institute. 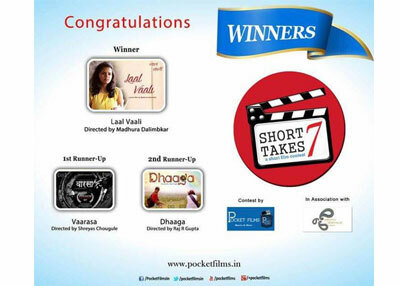 'Laal Vaali', a short film made by the Symbiosis Institute of Media Communication (SIMC) AV students of 2015-17 batch have won the first prize in Short Takes 7 film contest. 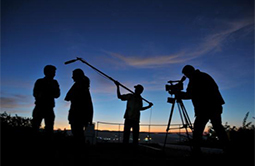 The director of the film is Madhura Dalimbkar and the other members of the crew are Sangeetha Rao, Anwesha Das, Prerna Maynil, Metsili Thurr, Samuel Singh Malia and Shubham Garg. The film will be screened in Stuttgart and is now in competition for the prestigious 'German Star of India' award for the best short film amongst many other nominees. Symbiosis Centre for Management Studies (SCMS) has been ranked at second place for BBA education by India today survey for Best Colleges in India 2017. 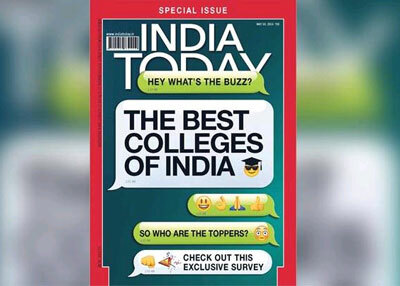 Symbiosis Centre for Media & Communication has been ranked the best media school in the country by India today survey for Best Colleges in India 2017. 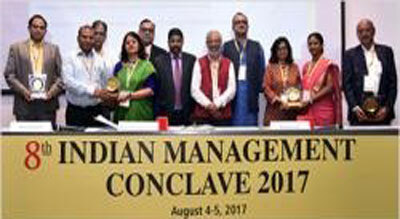 Dr. Rajani Gupte, Vice Chancellor, Symbiosis International (Deemed University) has been awarded the "The Iconic Leader Award - Creating a better world for all!" at the WOMEN ECONOMIC FORUM 2017 held at Delhi. 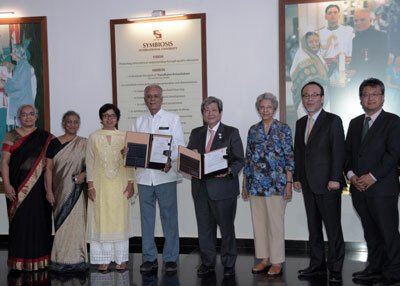 Symbiosis International (Deemed University) hosted a delegation from J .F Oberlin University, Japan represented by Dr. Toyoshi Satow, Chancellor, Dr Hiroaki Hatayama, Vice President, Mr. Takao Asakura, Assistant Executive Director, and Centre for International Affairs & Mr. Yu Ninomiya, Regional Liaison Officer in India. 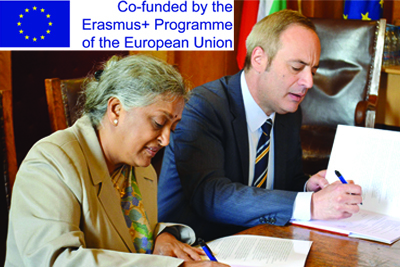 A Memorandum of Understanding was signed between the two universities for collaborative activities relating to student & faculty exchange, joint research. Dr. S.B. Mujumdar, Chancellor, SIU proposed setting up a joint "Symbiosis & J. F Oberlin Centre for Peace studies" offering courses in Conflict Resolution, Peace Building etc. which was immediately accepted by Dr. Satow. Dr. Vidya Yeravdekar, Principal Director, Symbiosis & Executive Director Symbiosis Centre for International Education, Dr. Rajani Gupte, Vice Chancellor, SIU, Dr. M.S.Shejul, Registrar SIU, Deans of SIU Faculties, Directors & Heads of SIU institutes were present for the signing of MOU followed by an interaction. Dr Ratna Paluri, Associate Professor at Symbiosis Institute of Operations Management (SIOM) has bagged the Sandvik India Diversity Award in the Academia category for her exemplary work towards leading Project Asmi Team at SIOM. The award recognizes excellence and commitment to gender equality, diversity and inclusion. 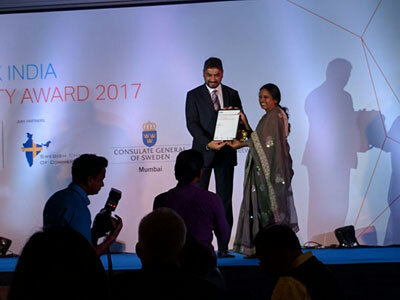 Eight individuals making a difference in the above areas were selected from the award process and their projects would be supported under the Sandvik Asia CSR banner. 180 applicants contested for eight awards under - Corporate, Corporate CSR Foundations, Social Enterprises, Non-Profits, SHGs, Academia, Government and Individual categories. There were three rounds, with the final round being a Jury round. 24 members were selected as finalists for the awards. Project Asmi is being implemented at 9 ashram schools in rural Nashik with the objective to educate the girls on menstrual hygiene and safe menstrual practices so that they over come the taboos associated with it AND to design a supply chain for providing low cost sanitary napkins to the beneficiaries. Over 40 students have been involved in this activity since last year. 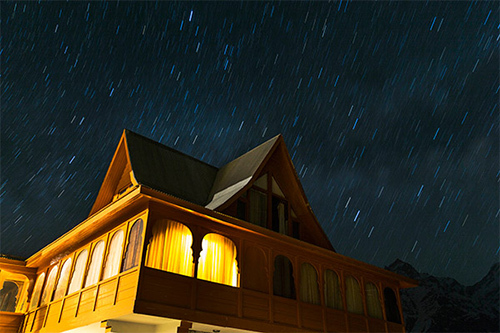 The project has received primary funding from J&K bank, Dang Seva mandal and few individuals. 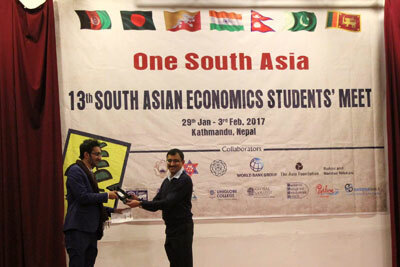 Anuj Godhani, student of Symbiosis School of Economics received the Best Paper Award at SAESM (South Asian Economics Students' Meet), held in Kathmandu, Nepal from 29th January to 3rd February 2017. 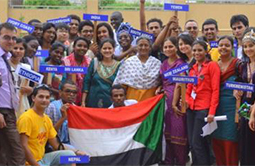 SAESM, is an international conference where undergraduate students of SAARC countries come together and share ideas. The theme for this year was “Regional Integration Challenges for South Asia - Lessons from SAFTA and other Regional Integration Challenges". Symbiosis International Students Council were on their tour to Delhi visited where theyvisited Rashtrapati Bhavan. They had the opportunity to witness the speech of Indian Prime Minister Shri Narendra Modiji at the Lok Sabha and Mrs Jaya Bachchan’s speech at the Rajya Sabha. They interacted with Mr. M J Akbar, Minister of State for External Affairs, Govt. of India, Shri Suresh Prabhu Minister of Railways, Govt. of India, and Mr. Amar Sinha , Secretary Ministry of external affairs. 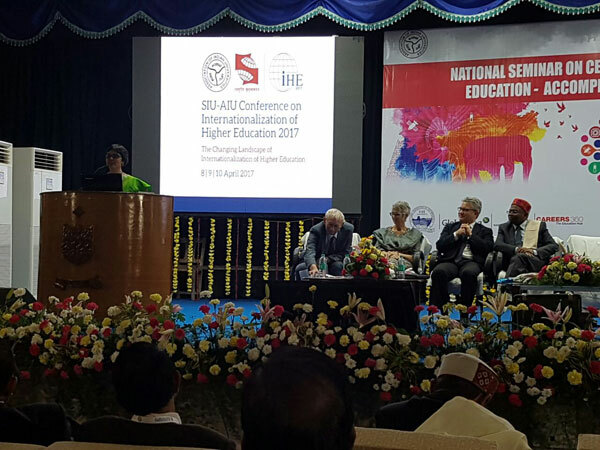 The 91st Annual General Meet of Association of Indian Universities & National Seminar on Celebrating Success of Higher Education - Accomplishments and Achievements was held at Sri Venkateswara University, Tirupati from 5th to 7th February 2017. Dr. Vidya Yeravdekar, Principle Director, Symbiosis made a presentation on 'Changing landscape of Internationalisation of Higher Education' during the meeting. Symbiosis organizes the annual event 'Sanskrutik Mahotsav' from 23rd to 25th January 2017. 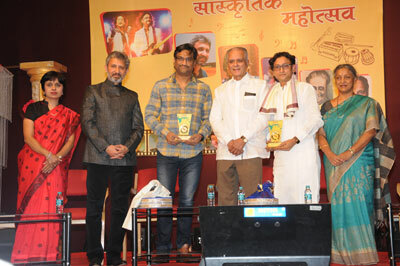 The inauguration ceremony was held at Dr. Babasaheb Ambedkar Memorial Hall at the hands of renowned Music Directors Mr. Ajay-Atul. This year Actor Neeraj Kabi an alumnus of Symbiosis College of Arts and Commerce was awarded the 'Symbiosis Sanskrutik Puraskar' for his contribution in the film industry which comprised of a memento and a cash award. The unique initiative called 'Coding Sisters' project to teach computer skills and code writing to girls by girls is started by Symbiosis Center for International Education (SCIE) and Symbiosis School Central Directorate (SSCD) at Pune Police Public School (PPPS). The objective of the project is to open up opportunities for girls to learn computer coding using a project based approach and help to explore possible career options in the field of technology. 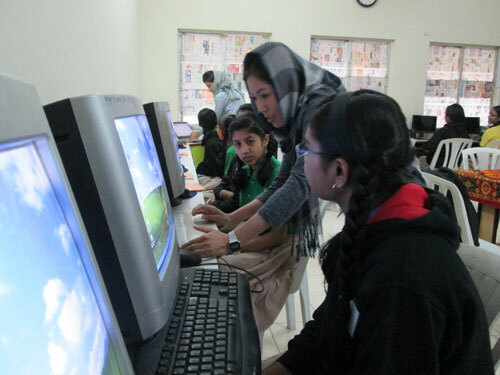 The mentor sisters are technology students from Afghanistan studying at Symbiosis while the mentee sisters are VIIIth standard school students. The Coding Sisters are learning together and motivating each other to explore and access new career pathways. India Health and Wellness Awards 2016 announce Symbiosis Institute of Health Sciences (SIHS) as GOLD award winners in the category Health Skilling and Education organization of the year. Ministry of Road Transport and Highway(MoRTH), Govt. of India has entrusted Symbiosis Institute of Health Sciences(SIHS) to train route patrol staff engaged by various concessionaires through National Highways Authority of India (NHAI) and Police personnel involved in handling trauma victims on all five National Highways emerging from the city of Poona. A series of 30th November 2016. 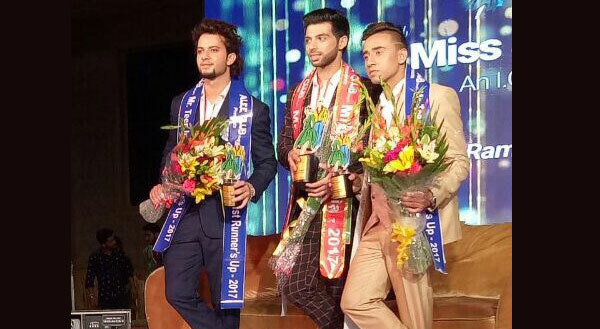 ​Viren Barman of the 2010-13 batch of Symbiosis Centre for Management Studies, NOIDA was crowned the 1st runner Up at the Peter England Mr. India 2016 competition. On 13th November 2016, Symbiosis felicitated Dr. Raghunath Mashelkar for being awarded the National Research Professorship for the second time. Click to read the Speech transcript delivered by ​Late ​Dr. 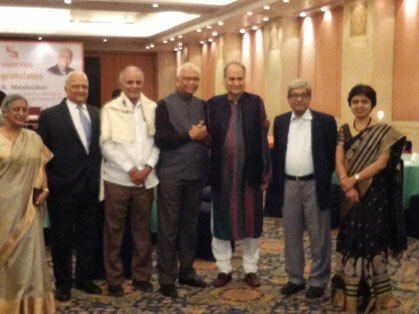 Dileep Padgaonkar on this occasion. 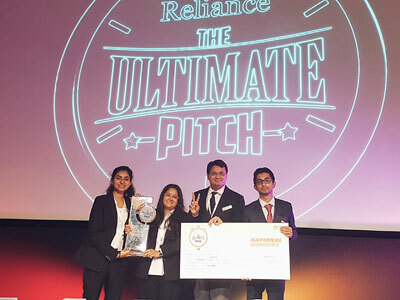 SCMHRD students Riddhi Tiwari and Ujjval Dua of team #POOHANDPIGLET have won the 1st prize of the #PepsiCoCTG challenge and have emerged as winners in the business competition PepsiCo's 'Change The Game Challenge!!' They have also secured International Spot Offers from PepsiCo! SIBM, Pune students, Reema Ghosh and Tanuj Sharma emerged as the winners of The Economic Times Young Leaders (ETYL) B-School Edition 2016. The Economic Times Young Leaders B-School Edition is a platform for recognizing and rewarding India’s most promising final year management students. 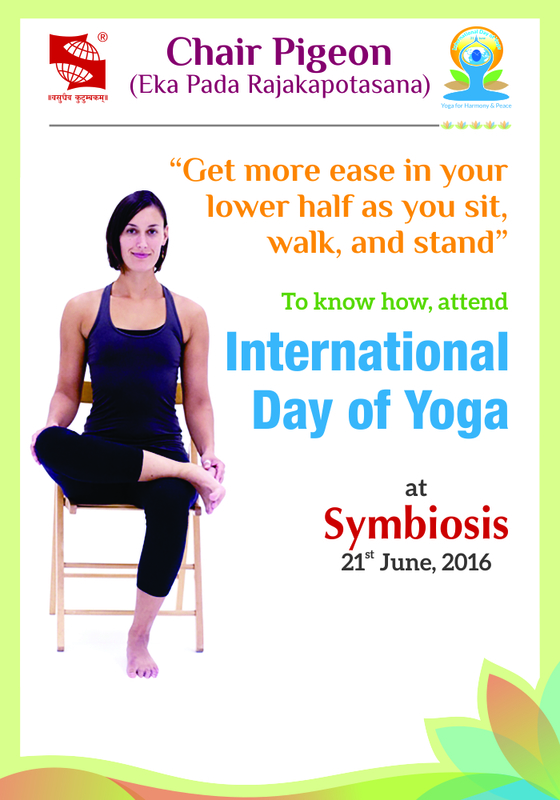 21st June 2016, International Yoga Day was celebrated with a difference at Symbiosis International (Deemed University). Chief guest, Shri K.D. Joshi spoke about the importance of Yoga. The focus was mainly on ‘Yog literacy’. 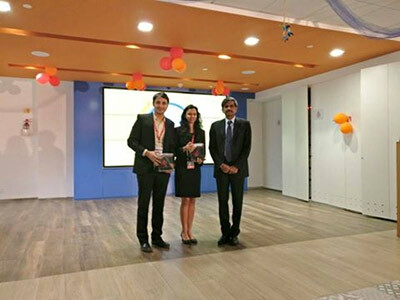 Staff and students of SIU were taught unique Desk Yoga asanas and an application with desktop pop-ups with different Desk Yoga Asanas was launched. The Symbiosis School for Liberal Arts, Symbiosis International (Deemed University), Pune hosted a conference ‘The Future of Liberal Arts and Science Education’ from 16-18 May 2016 at Lavale, Pune campus. The XVIII National Seminar on Hospital & Healthcare Management, Medico Legal Systems & Clinical Research organised by Symbiosis Centre of Health Care on 6th & 7th May 2016 at Symbiosis International (Deemed University), Lavale Pune. The 'Foundation Stone’ for Symbiosis Centre for Health Skills and the Hospital Building was laid on Monday, 22nd August 2016 at Symbiosis International (Deemed University), Lavale campus. This will be country’s first ever center for Health skills in line with Indian Prime Minister, Shri Narendra Modiji's Skill India initiative. The 100 bedded charitable hospital will provide affordable health care to the people from nearby villages. 70th Independence Day - 15th August 2016, was celebrated with great pomp at Symbiosis International (Deemed University). Dr. Rajani Gupte, Hon’ble Vice Chancellor of Symbiosis International (Deemed University) unfurled the National Flag and gave an enlightening speech to all the staff and students present. Chef Sanjeev Kapoor inaugurated the Symbiosis School of Culinary Arts on 25th July 2016. Keeping in view the increasing demand for specialized program in Culinary Arts, Symbiosis International (Deemed University) launched the Symbiosis School of Culinary Arts, which offers a three- year, full -time B.Sc programme in Culinary Arts. Symbiosis International (Deemed University)’s Hyderabad campus was inaugurated by Hon’ble Shri Arun Jaitley, the Minister of Finance and Corporate Affairs, Government of India here on Sunday. 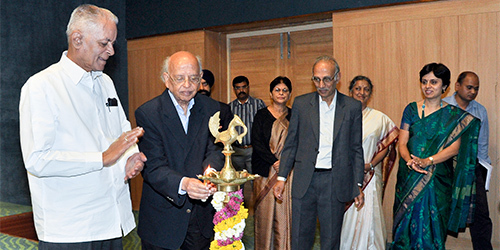 "Inconsym 2016",the International Conference of the Faculty of Management, was held on 29th / 30th September, 2016, at the India International Centre, New Delhi. The theme of the Conference was "Changing Dynamics in Global Markets", which is in consonance with the Government’s key initiative, "Make in India". Congratulations!! Mr. Prasham Goel, student from Symbiosis Law School, NOIDA on winning the Prestigious Indian National Bar Association and Novartis Organised INBA-Novartis IPR Debate Competition (INBA NOVARTIS Debate), 2016 on "Whether Stronger Intellectual Property Rights Regime will benefit India and Indian Companies". The Debate Competition took place on October 21, 2016 at Indian Society of International Law, New Delhi. Prof. Dr. S.B. 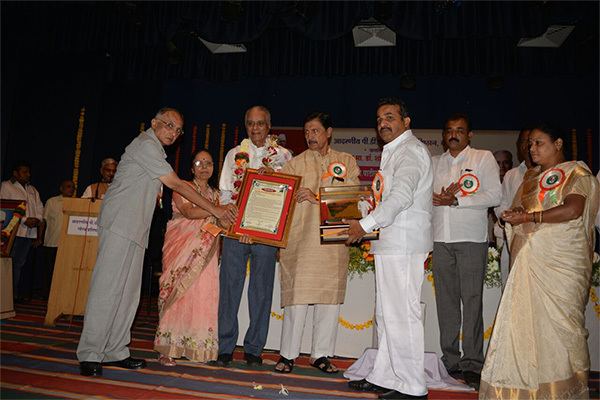 Mujumdar, Chancellor, SIU has been awarded the prestigious “P D. Patil Maharashtra Bhushan Puraskar" by the P D Patil Gaurav Pratishthan, Karad appreciating his valuable contributions in the field of education for the last four decades. Congratulations to Symbiosis Centre for Management Studies (SCMS) - Pune student Shreshth Kakkar for winning the silver medal in the 13th Senior National RollBall Championship held at Shivaji International Stadium, Balewadi, Pune. He represented Uttar Pradesh. Symbiosis Law School, Pune's Community Legal Care Center of Symbiosis Law School has won the prestigious Herbert Smith Freehills' Community Engagement Award - 2016 in the Community Investment through Legal Work Category. Dr. Rajani Gupte, Vice Chancellor, Symbiosis International (Deemed University) has been awarded the ‘Think Pure Award’ for her valuable contribution in the field of Education by the ‘Think Pure Social Welfare Foundation’ founded in memory of ‘Late Shri Dajikaka Gadgil’ . Dr. Vidya Yeravdekar, Principal Director, Symbiosis, addressed the ISBA Conference 2016, held on 10th September 2016, organized with the support of Department of Science & Technology & NITI Ayog, Govt of India. This was one of the world's largest conglomeration of Innovation and Incubation fraternity. 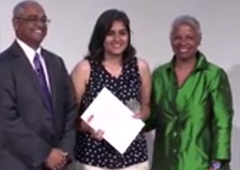 Ms. Mamta Bhatia from SIBM Pune has emerged as the global winner of the Novartis biotechnology leadership camp, organized by Novartis at Basel, Switzerland. She was also voted as the best candidate by co-participants who took part in the event. Ms. Mamta Bhatia was among the 3 students who represented India, by winning the competition at country level held at Hyderabad during Aug 2016. At Biocamp2016, Basel- Switzerland, 60 participants (from leading universities across the globe) spanning across 17 countries were competing to win. She now gets an opportunity to intern with Novartis and this internship will be individualized for her. Congratulations! 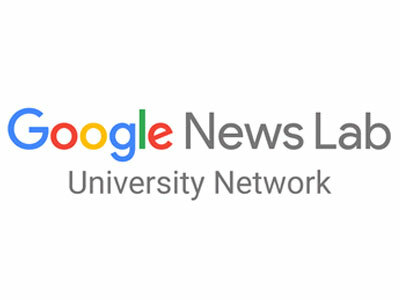 SICSR M.Sc(CA) student Meenakshi Dhanani student has been selected as a scholarship recipient of the 2016 APAC Google Anita Borg Memorial Scholarship. Meenakshi will be receiving a scholarship amount of Rs. 100,000 and an invitation to the Scholars’ Retreat on 30th August 30th- 2nd September at the Google Hyderabad Office. Congratulations! to Symbiosis College of Nursing (SCON) student, Ms. Shreya Sarde, for being selected by the Lila Poonawala Foundation to attend the “Peace Ambassadors Program” at London, UK from 12th August 2016 to 3rd September 2016. Shreya will be undergoing a training program and will return to India as a Peace Ambassador. Symbiosis International (Deemed University)’s new Symbiosis School of Culinary Arts(SSCA): The most dynamic and innovative place to study food. SSCA offers three year Bachelor of Science in Culinary Arts degree program which is the path to an exciting career in the amazing world of food. 'Congratulations!!' Symbiosis International (Deemed University) has Ranked as # 1 in the The West Zone ( Top Non Government Private & Deemed Multi Disciplinary Universities) by the recently conducted all India Best University survey by Hansa Research of The Week. 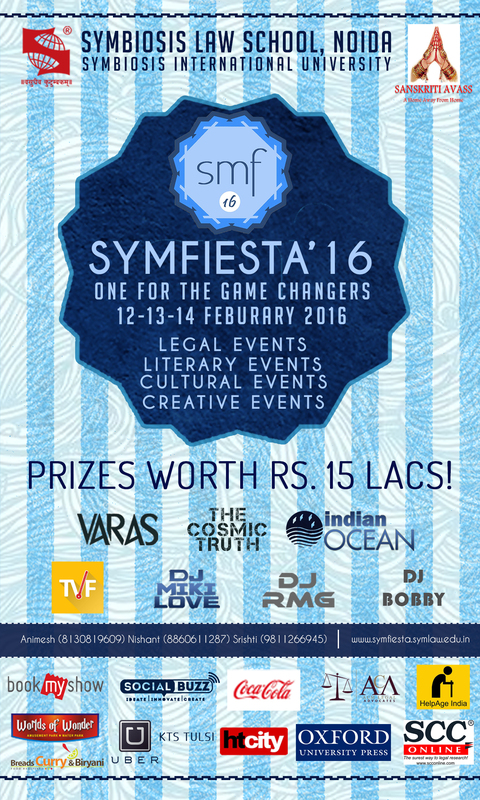 The Annual Youth Festival of Symbiosis Law School, NOIDA on February 12-14, 2016. This year’s theme - One for the Game Changers. Mr. Virender Singh, India’s most successful Paralympics athlete, will inaugurate the event. The prestigious United Nations sustainable energy for all All India Program - RIO +22 has declared Symbiosis Institute of International Business (SIIB) as 'The Best college in India Award- Hall of Fame 2015. Innovative stress relieving 'Dog Therapy': A special Initiative for students at Symbiosis. Social, Entrepreneurship and Consulting Cell (SECC) of SIBM Pune & Symbiosis Centre for Waste Management and Sustainability (SCWMS) participated in the Nation wide Plastic free campaign, initiated by the Hon’ble environment minister Mr. Prakash Javadekar. This was launched on 13th February and will be implemented by the Pune Municipal Corporation along with other Government departments. SIBM - Hyderabad student Aditya Udeshi has won Gold Medal in Chess (Individual Event) by winning all the games at RANBHOOMI '16 held at IIM-Indore from 5th to 7th February 2016. First year MBA Student Team comprising of Nayan Patel and Divya Gera from SIBM, Pune have entered the L’Oreal Brandstrom-National-Finals 2016 round on 7th February 2016. 536 teams from B Schools across India participated in this competition, and the student team from SIBM, Pune is one of the 5 teams selected for the National Finals. India looks at the Gulf as part of its ‘extended neighbourhood’ with only the Arabian Sea separating the two. This neighbourhood is a part of a larger region which stretches from the Gulf of Aden in the west to the Strait of Malacca in the east. Fitness for freedom Run on 15th August 2015 University Sports Board organizing a Fitness for Freedom (FFR) Run & Walk to celebrate the spirit of freedom by participating in a 4 km Run & Walk event. An event open to all students and staff of the Symbiosis. Aarambh 2015 Aarambh 2015 on a theme Environment, Sustainability & Conservation was celebrated on Saturday, July 11, 2015. The Students from seven institutes (SIBM, SITM, SIMC, SSBF, SIT, SSBS & SSP) participated in the programme. There were skits, dances and group songs in the cultural programme. Republic day Celebrations 2015 Vice Chancellor, Dr. Rajani Gupte, unveiling the National Flag on Republic day Celebrations 2015. Link West: India and the Gulf 10- 11 October 2015 : Prime Minister Narendra Modi's emphasis on not just 'looking east' but also 'linking west' indeed sets the direction to the shaping of a clear 'link west policy'. 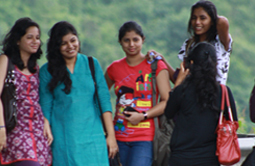 19th ASEF Summer University (ASEFSU) The 19th ASEF Summer University (ASEFSU) will take place on 9-21 August 2015 at Symbiosis International (Deemed University), Pune, India. It will address the multifaceted and complex challenges stemming from rapid urbanisation, which is increasingly visible across both Asia and Europe. Fitness for freedom Run on 15th August 2015 : University Sports Board organizing a Fitness for Freedom (FFR) Run & Walk to celebrate the spirit of freedom by participating in a 4 km Run & Walk event. An event open to all students and staff of the Symbiosis. 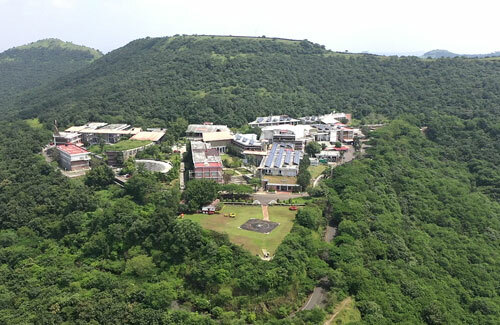 19th ASEF Summer University (ASEFSU): The 19th ASEF Summer University (ASEFSU) will take place on 9-21 August 2015 at Symbiosis International (Deemed University), Pune, India. It will address the multifaceted and complex challenges stemming from rapid urbanisation, which is increasingly visible across both Asia and Europe. Republic day Celebrations 2015: Vice Chancellor, Dr. Rajani Gupte, unveiling the National Flag on Republic day Celebrations 2015. Link West: India and The Gulf - 10-11 OCTOBER 2015, PUNE, INDIA: India looks at the Gulf as part of its ‘extended neighbourhood’ with only the Arabian Sea separating the two. This neighbourhood is a part of a larger region which stretches from the Gulf of Aden in the west to the Strait of Malacca in the east. Link West: India and the Gulf 10- 11 October 2015 - Prime Minister Narendra Modi's emphasis on not just 'looking east' but also 'linking west' indeed sets the direction to the shaping of a clear 'link west policy'. Symbiosis International (Deemed University) is declared the proud winner of the FICCI (Federation of Indian Chambers of Commerce & Industry) higher Education Awards in the category of Internationalization of Higher education declared at the 2nd Annual Higher Education Excellence Awards 2015 held at Delhi. Communique ’15, International Telecom Seminar, 11th & 12th September, 2015 at Symbiosis Institute of Telecom Management, Lavale on “Evolving Connectivity: Unfolding Opportunities in the Digital World”. An event to explore the opportunities presented by the rapidly growing telecom sector from the dual perspective of technological advancements and business applications. Eminent film-maker Madhur Bhandarkar addressed the media, design and management students at the Viman-nagar campus of Symbiosis International (Deemed University) on 8th September 2015. 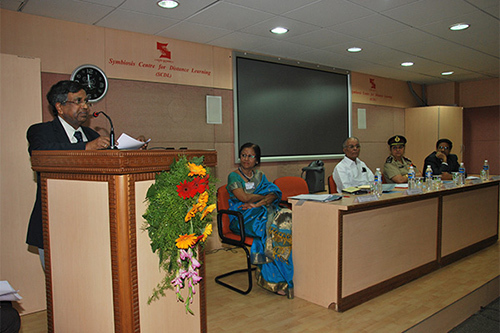 14th Annual Surana and Surana International Technology Law Moot Court Competition, 2015 : Symbiosis Law School, Pune, in association with Surana and Surana International Attorneys, Chennai, hosted the 14th edition of Surana and Surana International Technology Law Moot Court Competition, 2015 from the 21st to 23rd of August. 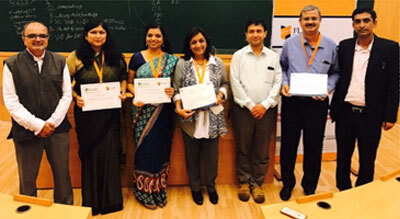 SIBM, Pune is proud to be the only management institution in India to get IBM Shared University Research (SUR) Awards for the research proposal titled "Analysing social media behaviours using predictive analytics for reducing credit default" submitted by Dr. R Raman, Director SIBM & Professor Santosh Gopalakrishnan. This is the most coveted worldwide equipment award program designed to promote research in areas of mutual value and interest to IBM and universities'. 8 SCIT students(8) have received dual scholarships, JASSO(Japan Student Services Organization) scholarship and MEXT(Ministry of education, cultural, sports, science and Technology) scholarship which include 1,00500/- JPY per month(for three months), Air ticket charges and will be doing their internship in Ritsumeikan Universty Japan. Naaz Abdul Khadar secured the first runner up prize in an article writing competition conducted by IIM Ranchi in the month of February, 2015. Naaz Abdul Khadar won the first place in a poster making competition called 'silent voice' organised by the marketing club of IIM Shillong in the month of February, 2015. SCMHRD Pune wins CFA Research Challenge 2015 India, popularly known as 'The Investment Olympics' and cements its position as one of the premier B-school. SIBM Pune students Anisha Saluja, Dhruv Anand, Kungumaraj Mohan & Varun Gandhi have won the highly prestigious ‘MAHENDRA WAR ROOM 2014’, a contest giving management students the opportunity to creatively respond to live and realistic business issues through a rigorous evaluation process. SIBM Pune students Vaishali Palve, Abhinav Magapu, Vipul Jain , Kigshuk Nag are flying to the United States of America as one among the SIX Finalists in a HR case competition which was open to 37 countries across the globe!! 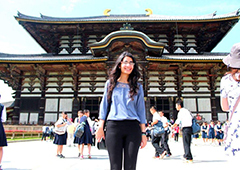 SCIE - Study India Program for Canadian (28thJul – 26th Aug 14) & Japanese (17thAug – 16thSep 14) students which will provide them an unparalleled opportunity of experiencing a perfect combination of academics and diverse cultural activities. SIBM Bengaluru Faculty members have added another feather in the SIU winning cap by being ranked among the top 10 cases in the ISB (Indian School of Business) - Ivey Global Case Competition 2014. 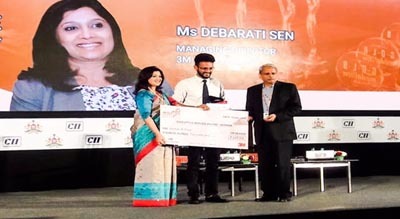 Symbiosis Institute of Business Management, Pune defeated several other elite B-schools like XIM Bhubaneshwar, IIFT Delhi, IMT Ghaziabad, MDI Gurgaon and NMIMS Mumbai to claim the ultimate grand prize in HUL’s much coveted event – Carpe Diem. Symbiosis feels proud to share that Pune Police Public School (PPPS) and Symbiosis School, Pune have achieved 100% result at S.S.C. board examination results. SIU welcomes Shrimati Smriti Irani, Minister of Human Resource Development, Government of India. 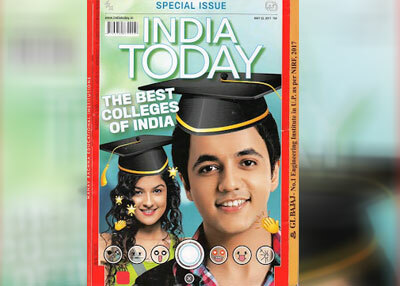 Symbiosis makes a mark in the newly released 2014 India Today Nielsen undergraduate rankings. "SIBM Pune has been ranked 12th best B School by Business World Business School Ranking December 2014 issue"
"SIBM Pune students Anisha Saluja, Dhruv Anand, Kungumaraj Mohan & Varun Gandhi have won the highly prestigious ‘MAHENDRA WAR ROOM 2014’, a contest giving management students the opportunity to creatively respond to live and realistic business issues through a rigorous evaluation process. The team walked away with a prize money of Rs. 5.00 Lakhs (each), a Centuro Motorcycle and a Mahindra Holiday Package "
"SIIB students have WON the Deloitte Maverick Competition leaving behind esteemed colleges like IIM-Kolkata, SP Jain, IIM-Ranchi, FMS & Great Lakes Chennai"
SIBM Pune students once again came through with flying colours!!! Saurabh Kumar, Shilpa Saraogi, Tarun Girdhar, Vrinda Khanna from SIBM Pune won the coveted 'ITC Interrobang Case Challenge'. SIBM Bengaluru Faculty members have added another feather in the SIU winning cap by being ranked among the top 10 cases in the ISB (Indian School of Business) -Ivey Global Case Competition 2014. SIMC (PG), Pune bags the IMC Gold Award 2014 at the Indian Management Conclave(IMC), hosted by MBAUniverse"
Dr. Vidya Yeravdekar, Principal Director, Symbiosis & Dr. Rajiv Yeravdekar Dean & Faculty of Health & Biological Sciences ,SIU have been joining the walk with wari from Alandi to Pune for last 8 years unabated. On 21st June 2014, Dr. Vidya Yeravdekar, Dr. Rajiv Yeravdekar, & several teaching & non-teaching staff members of Symbiosis walked with the Wari traversing 15 K.M. distance. SCHC in association with Sheela Raj Salve Memorial Trust, provided 4 ambulances for mobile clinic. SCHC provided four Medical Officers in charge for the above program. SIHS contributed with 35-40 EMS doctors daily for the same. Apart from this, SIHS, MBA department also extended their support by providing 93 MBA students as volunteers on 21st June & 22nd June 2014. Last year the total number of warkaris served were 12,552. This year the total number of warkaris served has increased to 26,950. Our medical services to the warkaris were also covered by news channel TV9 and IBN Lokmat. Medical services were availed by a large number of Warkaris. Warkaris were treated for various ailments like Acute Gastro Enteritis, Fever, and Acute respiratory infection, different kinds of minor injuries & aches / pains due to long march. The event was managed very well by our Medical Officers & EMS doctors, which was applauded by one and all. 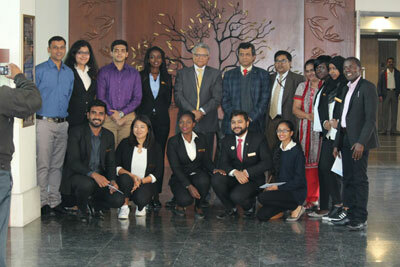 Symbiosis International (Deemed University) received a batch of 25 students from the Chandaria Business School, United States International University, Kenya. 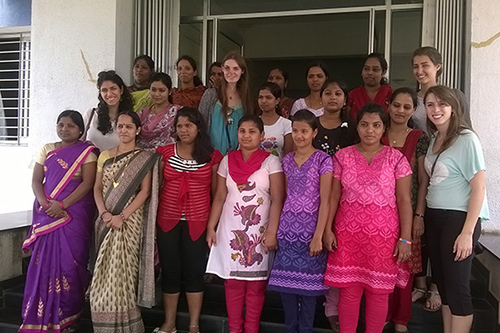 A one-week Study India Programme was jointly conducted between Symbiosis Institute of Health Sciences (SIHS) and Symbiosis Centre for International Education (SCIE). The students of the University are from 5 different countries: Kenya, Tanzania , Ethiopia, Senegal, Zambia and Uganda. As part of the programme, SIHS conducted various lectures in Management of the health sector, community health, functioning of Hospitals in India. 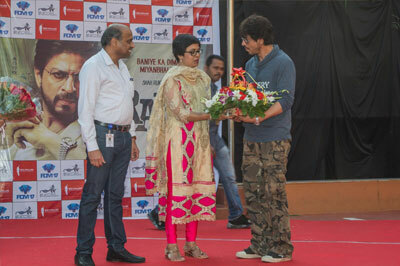 A visit was also organised to the Aditya Birla Hospital and Deenanath Mangeshkar Hospital in the city. The students received the opportunity to interact with the Officials at the Hospitals. 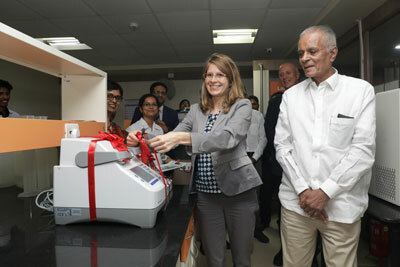 They also visited Serum Institute of India, a leader in the Health Sector domain. The Media Delegation from Thailand were on a visit to India through the Ministry of External Affairs. They were visiting India as part of the "Familiarisation Visit" programme with an aim to provide them with first-hand information of developments in India's political, economic, cultural, educational, science & technology and other sectors. As part of the visit, the Delegation visited Symbiosis International (Deemed University) to get an insight into the Higher Education sector, courses offered and facilities provided to International students. They were also given a brief about the Education system in India, with an emphasis on the Higher Education sector. The visiting delegation included many Editors and reports from the country’s leading Print & media industry. Dr. Vidya Yeravdekar, Principal Director, Symbiosis and Dr. Rajiv Yeravdekar, Dean, Faculty of Health & Biological Sciences, Symbiosis International (Deemed University) recently visited Spain. Both had been invited under the Indian Leaders Programme, an initiative of the Spain India Council Foundation. Other dignitaries who were also invited were Mr. Pawan Agarwal, Advisor, Higher Education and Culture in the Planning Commission, Ms. Ayesha Banerjee, Hindustan Times, Editor – Education, Mr. Anustup Nayak, Vice President, XSEED Education, Mr. Ajay Pandey Dean - Programmes, IIM Ahmedabad and Mr. R.K. Shevgaonkar, Director, IIT Delhi. The Doctors Yeravdekar visited Universities and interacted with the Ambassador of India to Spain, Government Officials and other dignitaries. Mr. V. G. Venkatesh, Assistant Professor, Symbiosis Institute of Business Management (SIBM), Bengaluru has been elected to the SCMA - Annual Conference steering committee as a member. Supply Chain Management Association (SCMA) is one of the oldest professional associations of CANADA and it is renowned in the Global SCM Industry. Mr. Anurag Khanna, an alumnus of the Symbiosis Centre for Information Technology (SCIT) has cleared the GIAC Security Expert (GSE) certification, which only has 100 certified professionals. Mr. Khanna is the first Indian to obtain this certification. Mr. Rajesh Kamat, an alumnus of the Symbiosis Institute of Management Studies (SIMS) has been named as the CEO of CA Media, which a is part of the influential Chernin Group founded by former News Corp President and COO and Fox Entertainment topper Peter Chernin. The Symbiosis Institute of Health Sciences [SIHS], Pune is organising the XVIth National Seminar on Hospital/Healthcare Management, MedicoLegal System and Clinical Research on 2nd - 3rd May, 2014 at SIU's Lavale Campus in Pune. Dr Rameshwar Dubey (Assistant Professor, Symbiosis Institute of Operations Management) has been chosen as an Outstanding Reviewer for the 'Journal of Humanitarian Logistics and Supply Chain Management' in the Emerald Literati Network 2014 Awards for Excellence. 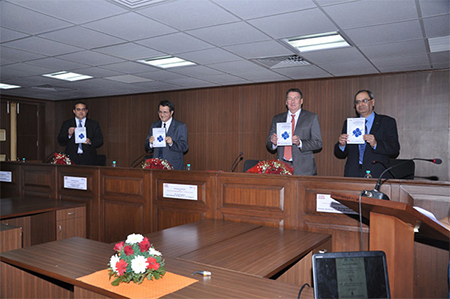 Symbiosis Centre for Management Studies (SCMS), NOIDA organised a two day International Conference on ‘Emerging Trends in Global Management Practices – An Interdisciplinary Approach’ on 7th and 8th March, 2014. Symbiosis Centre for Management Studies, NOIDA, a constituent of Symbiosis International (Deemed University) organised a two day International Conference on ‘Emerging Trends in Global Management Practices – An Interdisciplinary Approach’ on 7th and 8th March, 2014 at its campus in Sector 62, NOIDA. 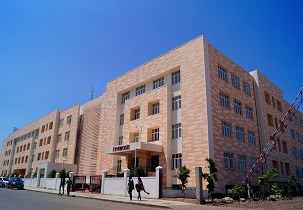 The Conference was attended by academicians including Vice Chancellors, researchers, students and diplomats and representatives from Algeria, Romania and Georgia. There was a large International presence from Singapore, Bangladesh, Nepal and other nations. 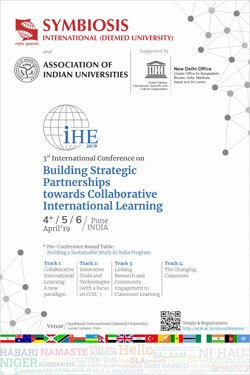 The Conference also saw the release of 3 publications of the institute. 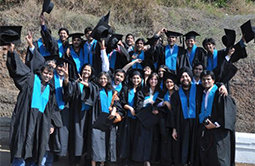 Symbiosis Centre for Management Studies, NOIDA, in a short period of 3 years, has made its mark as a leading educational institution in the NCR offering quality education in Business Administration with specializations in Marketing Management, Human Resource Management and Financial Management. 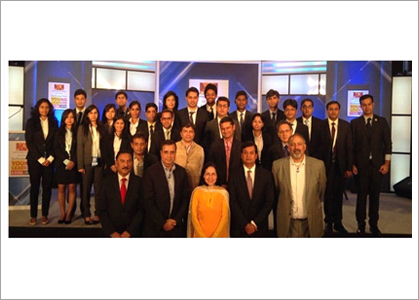 Symbiosis Centre for Management and Human Resource Development's [SCMHRD], Pune participation @ CNBC TV 18's HR Leadership Conclave to be broadcast on 15thth March, 2014 (6:00 PM) and 16th March, 2014 (3.30 PM). Dr.Vidya Yeravdekar has been nominated as the Chancellor’s nominee on the Board of Management of the Yashwantrao Chavan Maharashtra Open University, Nashik by H.E. Shri. K. Sankaranarayanan, Governor of Maharashtra and Chancellor of the Government Universities in the state, for three years. The University Sports Board [USB], SIU celebrates International Women's Day and invites all female University staff for a special event on Saturday, 8th March, 2014. The English Language Teaching Institute of Symbiosis [ELTIS] celebrates its Annual Day on Friday, 7th March, 2014. Symbiosis College of Nursing held a National conference on the theme 'Task Shifting to Independent Midwifery Practice: Fostering Safe Motherhood on 8th and 9th February. 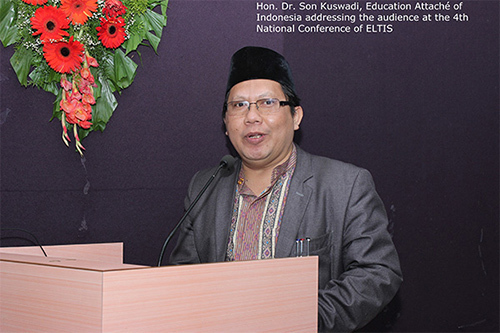 The English Language Teaching Institute of Symbiosis (ELTIS) held its fourth National Conference on the theme “Cultivating the Reading Skill: A Classroom Challenge” on 7th and 8th February 2014. 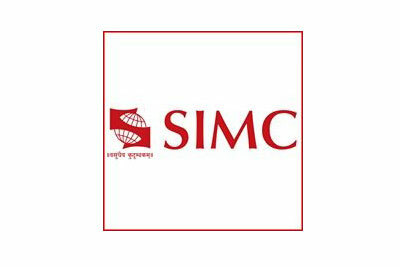 Symbiosis Institute of Business Management [SIBM], Pune has been awarded the 'Asia's Best Private Education Institute 2012-13' in the Business Schools Category by the World Consulting and Research Corporation. 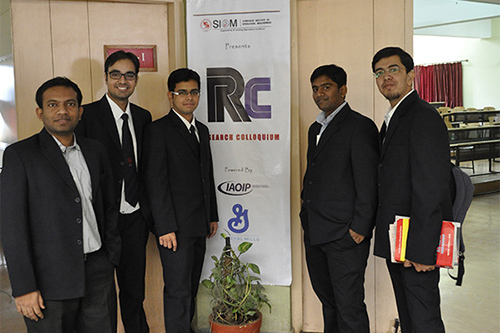 Symbiosis Institute of Operations Management hosts RESEARCH COLLOQUIUM 2.0! Jan 18, 2014. It’s always amazing to hear the word “Research” but many a times, this powerful word loses its importance and longevity when it comes to delivery. Every talent needs a platform and we here at SIOM provide aspiring researchers the best opportunity to showcase their intense research works carried out in different fields through the RESEARCH COLLOQUIUM. This unique event encourages the young minds not just to disseminate but also to create knowledge. It all started in the year 2012 with a vision to encourage SIOM students towards the field of Research findings, analytics and consulting. The inaugural edition of the Research Colloquium had 26 teams participating from SIOM and thereby building a strong foundation for a better future. This year too, Research Colloquium 2.0 in association with the “International Association of Innovative Professionals (IAOIP)” concluded on 18th Jan 2014. It was indeed a day full of learning and wisdom for one and all. As part of the event, eight best research papers were selected from SIOM and seven research scholars were invited from reputed management institutions to share valuable insights through their research works. “Supply Chain Innovation” is the ultimate key in this competitive age and thus aptly, it reflected the underlying theme of Research Colloquium 2.0. The ceremonial lighting of the lamp by Dr. Vandana Sonwaney (Director, SIOM), Dr. Padmanabha Aital (Dy. Director, SIOM), Dr. Rameshwar Dubey (Faculty in-charge, Research Colloquium), Jay Patel (Convenor) and General Mills delegates marked the start of the inaugural ceremony. With the opening note that research is a unique credit worthy journey, the Director spoke on the importance of research in today’s world and its value addition to the whole gamut of operations. Thereafter, Dr. Aital through his speech stressed on the need for innovation and stated that time is conducive for research and industry-academia alliance is a must in this regard. Soon after, Dr. Dubey, the man behind conceptualizing the Research Colloquium, delivered a highly inspirational speech encouraging the young researchers to continuously work for excellence in the amazing field of research. In his power packed speech, he dwelled on the achievements of the students and shared insights on various research works carried out here. Thereafter, delegates from General Mills gave a presentation on the various research initiatives and practices followed in their organization. The inaugural ceremony finally came to an end with the felicitation of the last year winners of Research Colloquium whose papers have been published in eminent journals. 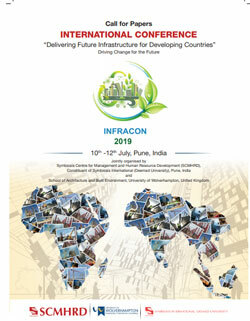 The event commenced with the shortlisted eight teams delivering on topics such as “Green supply chain management”, “Why ERP is still a stillborn software?”, “Barriers to sustainable operations practices in Indian tannery industries”, “Supply Chain risk management”, “KPI in warehouse management”, ”Reducing in truck turnaround time” and “Synchronous manufacturing”. Thereafter, eminent speakers and researchers such as Ms. Kuiljeit Uppaal (CEO, KREA), Prof. Shrikant Gorane (pioneer in Fuzzy Micmac) to name a few had the audience enthralled in apt attention. Further, speakers from varied fields enlightened everyone with their minute insights on topics such as “Analyzing impact of digit image forgery and its awareness on facebook users”, “Electronic Reverse Auction”, ”Human factors in implementation of Six Sigma”, “Image management and its core elements”, “Supply chain in bollywood piracy” etc. Most of the papers presented today by the students are going to be published in reputed journals such as International Journal of Innovation Science, International Journal of Applied Logistics, International Journal of Logistics and System Management, International Journal of Business Innovation and Research, Journal of Supply Chain Management System and AIMS International Journal. The closing ceremony began with a lecture on Fuzzy Micmac by the pioneer, Prof. Shrikant Gorane and a talk on the role of technology in operations by Shree Krishna Patil. This was followed by an experience sharing session by the research scholars and they appreciated the efforts of the entire Research Colloquium Team for conceptualizing an event of such magnitude. Thereafter, the prize distribution ceremony took place wherein the best research works in the form of content, relevance and practicality were given “Best research paper presenter” awards. Anwesh Yashwaj, Shivi Shrivastava and Sameer Misra from SIOM were recipients of these accolades. In the same manner, Mr. Prashant Pawar from Larsen & Toubro (Electronic Reverse Auction) and Ms. Angelina Gokhale (Teaching associate at SCIT) were recipients of this award. Finally, the day of unmatched wisdom and insights came to an end with Dr. Rameshwar Dubey delivering the formal vote of thanks. He thanked all the faculty members, students and guests for their active involvement and added a special note of appreciation for the organizing committee members of Research Colloquium 2.0 for making the event a grand success. 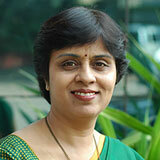 Dr. Vidya Yeravdekar, Principal Director, Symbiosis interviewed in DNA. Mr. Vishal Patil, 3rd year student from the Symbiosis Institute of International Business [SIIB], Pune has placed 3rd in the Business Standard Best B-School Project Awards. Dr. Vidya Yeravdekar, Principal Director, Symbiosis has been nominated as a Member of the Indian Indian Institute of Mass Communication Society (IIMC) by the Ministry of Information & Broadcasting, Govt. of India. Dr. Rajesh Panda, Director, Symbiosis Institute of Business Management [SIBM], Bengaluru has been awarded the 'Best Professor in Marketing Management' by LOKMAT National Education Leadership Awards. The award will be presented by Shri R. J. Darda, Hon'ble Minister of School Education, Govt. of Maharashtra. 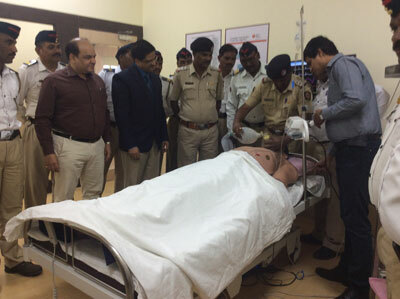 As part of its project in conjunction with the Symbiosis Institute of Health Sciences [SIHS], Pune, the Maharashtra Emergency Medical Services (MEMS) will provide free pre-hospital emergency medical service to citizens across the state. SIU Women football team won Bronze Medal at West zone Inter Varsity competition held at Banasthali University, Rajasthan. Dr. Rajani Gupte, Vice Chancellor, Symbiosis International (Deemed University) has been conferred with the Award for Outstanding Contribution to Education by the Lokmat National Education Leadership. The award will be presented by Shri R. J. Darda, Hon'ble Minister of School Education, Govt. of Maharashtra. 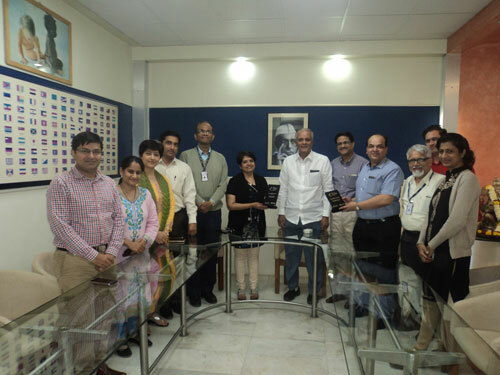 The Symbiosis Institute of Geoinformatics (SIG), Pune has been conferred with the Education Leadership Award by the Lokmat National Education Leadership. The award will be presented by Shri R. J. Darda, Hon'ble Minister of School Education, Govt. of Maharashtra. Symbiosis Law School, NOIDA represented by Ms. Jayashree Parihar, Mr. Shivshankar Swaminathan and Mr. Arnav Dash have been declared 'Runners Up' at the 20th M. C. Chagla Memorial Government Law College National Moot Court Competition 2014 organised by Government Law College, Mumbai and Chief Justice M. C. Chagla Memorial Trust on 11th -12th January, 2014. Ms. Jayashree Parihar also won the ‘Third Best Speaker’ award. Dr. Shubhasheesh Bhattacharya, Professor and Head of the Department of Human Resource at Symbiosis Institute of International Business [SIIB] has been awarded the 'Best Professor in Human Resource Management' by LOKMAT National Education Leadership Awards. Dr. Dileep Padgaonkar, R. K. Laxman Chair Professor, Symbiosis International (Deemed University) has been nominated to the Editorial Board of the Huffington Post's and the Berggruen Institute on Governance's creation - THEWORLDPOST - an online publication that will bring together an uparalleled group of contributors from diverse nations, backgrounds and perspectives. The Symbiosis Institute of International Business (SIIB), Pune, held its flagship Management and Cultural fest – 'Ignisense ’14', on the 5th & 6th of January, 2014. 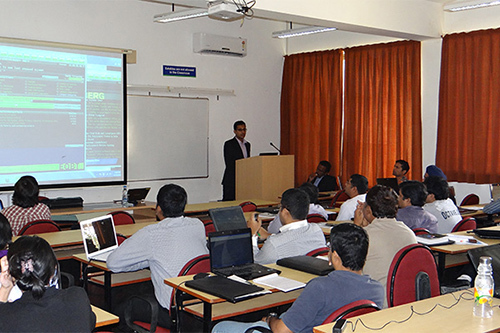 The 5th International Workshop on Quantitative Finance was organised at Symbiosis International (Deemed University) Pune, India from 21st to 24th December, 2013. We at SSBF warmly acknowledge the contributions of the resource persons, participants and the Management of the various colleges and institutes without which, this workshop would have not been the success that it has been. 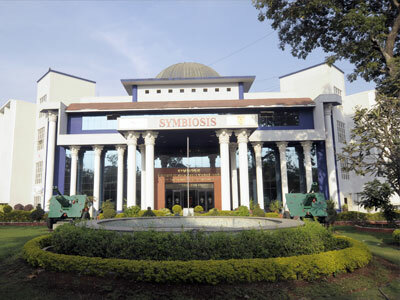 Symbiosis School of Banking and Finance (SSBF), Symbiosis International (Deemed University), India. With an optimum blend of theory and practical insights, the workshop provided the participants with a hands on experience on different Quantitative and Mathematical modelling techniques like Statistical Estimation, Optimization, Time Series Analysis and Stochastic Calculus to name a few. Spread over four days, the topics covered included Capital Asset Pricing Model (CAPM), APT, Derivative pricing, Mutual Funds, Risk Management and Investment Performance Measures and Valuation. The IWQF was attended by 27 participants who included 5 industry professionals, 11 members of the academic fraternity and 11 research scholars. The participants were selected on the basis of their Curriculum Vitae, work experience and references. The inputs of the resource persons were well received by all the participants and they were appreciative of the efforts put in by the collaborating Institutes in organising the workshop. According to the participants, the workshop not only provided them with a unique opportunity to enhance their problem solving capabilities in different areas of Quantitative Finance but also helped increase their job skill set through a stimulating interaction with the members of academia and industry. Please await the announcement of the 6th IWQF workshop soon! Symbiosis Institute of Technology with Indian Committee for International Radio Science Union (INC-URSI) hosted a Regional Conference on Radio Science from 2nd January to 5th January at SIU, Lavale. 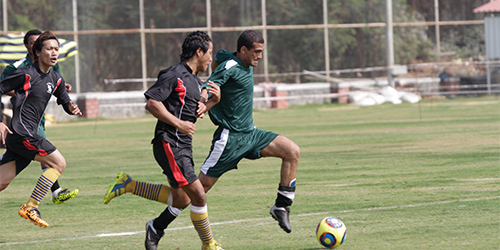 Symbiosis International Students’ Football Tournaments 2014, 4th – 10th January 2014 at SIU, Lavale campus. ‘Bene Captus' the first exhibition of Symbiosis School of Photography students is organised from 6th January to 8th January 2014 at Balgandharva Kaladalan, JM Road, Pune. Website last updated on : March 09 2019 10:35:07.